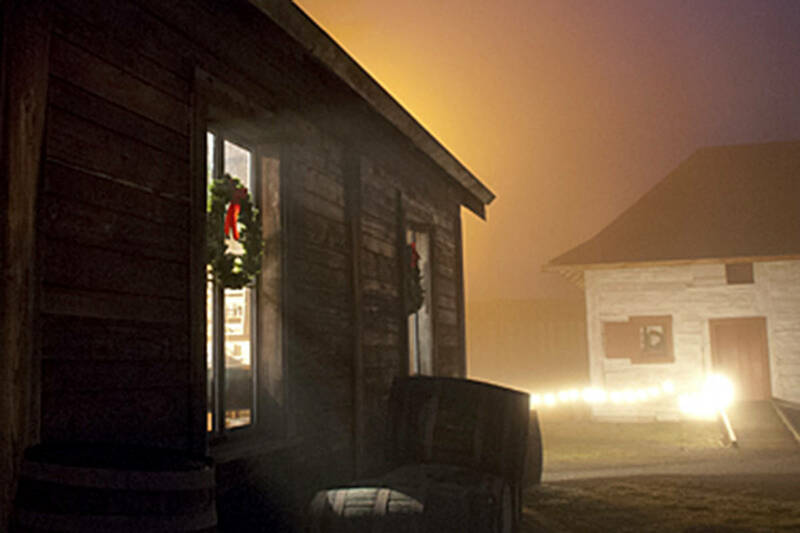 The Old-Fashioned Musical Christmas is back at the Fort Langley National Historic Site. Dec. 13, 2017 10:00 p.m. 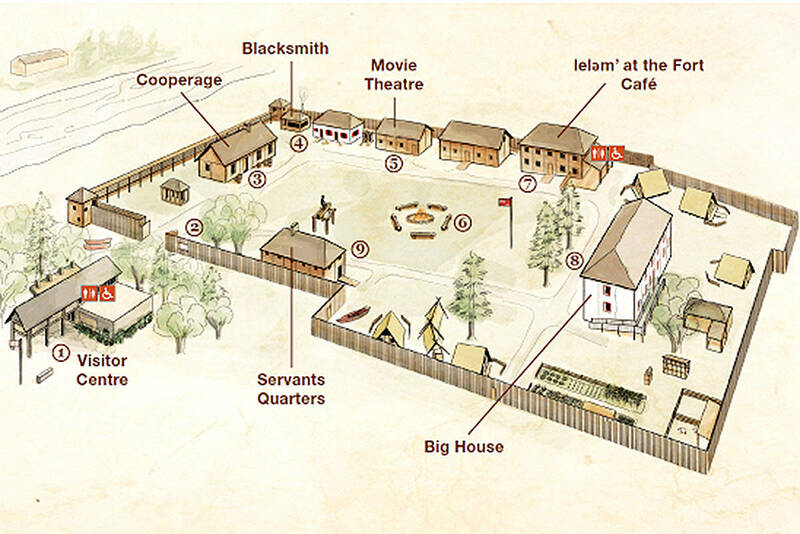 Traditionally, Christmas festivities at Fort Langley during the mid-1800s were simple. Workers received the day off for Christmas Eve and Christmas Day, and a ration of rum. On Christmas Day, the chief trader of the fort hosted a social event, dance, and feast. Today, staff and volunteers at the Fort Langley National Historic Site share the history of this special place, while giving visitors a chance to celebrate the holidays with two events. It’s an opportunity to make memories with family or out-of-town guests in the relaxed holiday atmosphere of fort. The first event is the Old-Fashioned Musical Christmas happening this Saturday, Dec. 16, followed by A Fort Langley Christmas, being held over six days before the end of the month. After a brief hiatus, the Old-Fashioned Musical Christmas at Fort Langley is back, confirmed fort promotion officer Mae Whyte. “Hear music fill the air against a dark starry sky,” she said. This special evening event, which runs from 5 to 8 p.m., is a showcase of local talents, including Indigenous performance group Sister Says, as well as Vita Quartet – who will be singing carols around the fire. “Come enjoy the warmth of our large stone fireplace in the Cooperage, as sounds of Kwantlen Polytechnic University’s brass ensemble fill the air,” she elaborated. Fort Langley guides Nette Plant and Daniel Holmberg will also be performing selected readings from Charles Dickens’ A Christmas Carol. Visitors will have the opportunity to enjoy the festive lights of the fort’s large Christmas tree and they can take home a keepsake from the photo booth. Guests can also visit with Father Christmas and enjoy the historic site’s after-hours ambience. “Bring your holiday cheer” and join them for a sip of heritage hot chocolate or purchase maple taffy from the local vendor at Maple Sugar Shack. There’s also a chance to decorate a holiday cookie in style with lelem’ at the fort for a $2 fee. Most of Saturday night’s activities will be indoors, but guests are encouraged to dress for the weather, as they explore from building to building – rain or shine. This special-ticketed event will be offered at a discounted rate of $9.30/adult, $3.90/youth, and free for ages five and younger. Tickets will be available at the door only, with tickets available starting at 10 a.m. in the visitor centre. A Fort Langley Christmas is the season finale to the free admission Parks Canada has offered during 2017. This event, running Dec. 22, 23, 27, and 30, allows guests to hear Kwantlen stories, to taste chestnuts roasted over the fire, and to make a beautiful cedar ornament. The event includes guided tours, daily feature, and interpreters baking in the outdoor oven. People can enjoy the giant outdoor Christmas tree and take family photos at various scenic spots on site. The Old-Fashioned Musical Christmas returns to the Fort Langley National Historic Site this weekend.